Hawk and I spent the evening laying on the floor by the big brown chair watching TV. She and I were curled together just like old times…friends to the end. A little before midnight, with her head laying on my arm she looked at me, blinked her eyes, and took in her last earthly air. Her spirit and soul now take in the cool breezes of Heaven. Her nose to the wind, her ears perked upright and the look of a warrior on her face, as I say, “Coyote?..! !” She was fearless, fast, smart, funny, loving, the mother to seven litters of pups to Daddy Bert, and the best grandmother to her children’s little ones. Hawk was the Queen and all others greeted her as such, loved her as such, and gave her the respect earned by a Queen. Bert was her only lover. Hawk raised her last litter of pups the year of 2010 when Daddy Bert died on September 6, 2010. Hawk left me to be with Daddy Bert on September 6, 2015. It is no coincidence that she left me on the same day as Daddy Bert left us. Hawk loved Bert as much as she loved me and I believe she picked her day to move on to see Daddy Bert again. We buried my dad on September 07, 1996. The three things I have loved most in life all buried on the same damn day. The doctoring things are put away. The dishes are washed. The laundry is done. Daylight will bring our last walk to the backyard together. I love her. My heart is broken. I know all too well the cruelness of death and regardless of how I feel the sun will continue to come and go..Some days, I hate life just as much as I hate death. Long may Momma Dog and Daddy Bert run with the angels. A little more…Hawk was doing really well on the herbal/holistic medicines. She has not had a fever since Thursday evening. A different vet suggested I use a prescribed diet canned food. I gave it to Hawk on Friday evening and by Saturday morning I could tell it has upset her stomach. I tried buffering the issue but was just too late to stop the acid upset. I just should have not taken the vet’s advice and should have continued with what was working and left the vet’s advice go in one ear and out the other. Drought Year 2012 on a 100+ degree afternoon…My Beloved Hawk…Momma Dog. Mother of seven litters of pups from Cowdog Daddy Bert. May she have angels wings to fly to meet up with Bert. I love you Hawk. I love you too Bert. The week from Hell is the few days before Labor Day and the few days after Labor Day. 19 years ago, the Lord came late at night, told my Dad it was time and a few days later we buried the most wonderful man I’ve ever known. 5 years ago, an error I put into motion took the life of my beloved Cowdog Bert. Eternally forever in my backyard in his favorite spot rests Cowdog Bert who died and was buried on the same day as my Dad. Bert’s Tribute is on my website Home Page at http://www.tammyscowdogs.com. 2015 and I am trying to save Cowdog Hawk. The primary doc at the Univ. of MO Vet Teaching Hospital sent me packing the other day stating, “Hawk is circling the drain.” In all my years of working with professionals in the animal medical world, I’ve never had someone so cavalier look at me and speak those words to me. I too, once thought being a veterinarian was my calling. I applied to vet school, got accepted and then told my Dad I was not taking on vet school and that I was going to leave Missouri and go back to my true home of the Sandhills of Nebraska. My father was crushed. But I made the right decision. I’ve practiced animal medicine at levels, settings and geographical locations way beyond where vet school would ever allowed me to go…bar none. I value life even when it is ending and I would “never” use the terminology of “circling the drain” for one of my own animals or the life of a dying animal that I have tried to help a neighbor with. All life is sacred to me and to use the analogy of “circling the drain” is disrespectful, cold, callous, and demeaning. That is my opinion. I brought Cowdog Hawk home the other day and was angry for all the things that I had asked about, probed about, researched about, and got answers of, “I don’t know. We don’t know.” By God, I am here to tell you, saying, “I don’t know. We don’t know.”, is irrelevant to the profession of “you better keep reading and looking”. I don’t have time for, “I don’t know.” I want effort. On that drive home, I decided that Hawk and I were now on our own. The magnitude of mental recalls came flooding into my head. Signs. Little signs of things that I had wondered, thought about, and done on my waiting days at the animal hospital. I got on the internet with a renewed purpose of exploring. The relying on a young and budding professional was over. I won’t go into details at this point because a lot of folks don’t life reading “long” stories over 2 sentences long. The short version is I am using some herbal blends, some raw goat’s milk from a high school friend, some intuition, some trial and error, and lots and lots of spiritual conversation with God. This took me to finding a veterinarian in S Texas who practices holistic medicine. Out of the blue, I called, left a message and you know what…she called back. I returned her call, explained my situation with Hawk and she was more than happy to cite to me her personal experiences with dogs with similar issues and shared options for me to pursue. I got more comfort from this lady than anyone in the last 2+ months. Hawk and I are making progress but this is a long, slow, anxiety riddled journey. I think of all the moms, dads, spouses,and kids who have had a loved one with the same long-term struggles with a health issue and I know how they feel. I see what it is like. Hawk will let me know, when or if, our journey is at an end. But, I’ll be damned if I will let a nonchalant data driven young professional tell me she is willing to put Hawk to sleep for me. I’ll tell you this out of experience, data is merely a tool…yes a valuable tool, but life doesn’t always go with “the data”. Pluses and minuses of life. I’ve sucked it up 100’s of times, used my drive and intellect, and managed to make it, and then again, managed to let go. The last of the hay is baled, loaded, hauled and stored for winter. I’ll get my calving pasture ready today. I’ll get the bred heifers gathered, hauled home and poured, and turned out to their calving digs..maybe tomorrow. I can be the definition of “grit in action”…just ask my abusive two ex-husbands who tried to abuse and break my spirit and life. Failure happens in life but I damn sure don’t shrug my shoulders and let failure cover me like a slow-motion bank of clouds in the sky…like turning away, making up some excuse for failing attempts, and letting a coolness to life settle into my mind. Life can be good. Life can be cruel. We all leave earthly life eventually. But I’d like to be at peace as many times as possible. Peace takes years sometimes…don’t kid yourself. But giving up can be much harsher. That’s it Dear Digital Diary. I appreciate all the comforting spiritual concerns from everyone. ~ Tears as I close. I am still alive. But to be honest it is by a thread. Cowdog Hawk is hanging in there. Last week was bleek, very bleek. With a change in her antibiotics and 3 1/2 days out on the new antibiotic she seems to be feeling better. I’ve read and researched pancycopenia diets and made some adjustments to her food. The antibiotic she is on now is not a friend of the tummy or digestive system. The nursing care for her is a juggling act. If you ever have a loved one who experiences the same symptoms as Cowdog Hawk’s story…well, then you fully understand. To those of you who have written with family stories of similar nature…I love your encouragement and so gratefully appreciate your stories. Some days, I am operating from one light bulb moment to the next. Yesterday, heck, I was mowing hay…you know, the normal June work being done on last day or so of August through 1st week of September. I should be putting the finishing touches on getting cows/heifers moved home for calving and having things “just right”. Sheetfar…so behind. But the spring rain was wonderful and to be honest we are bone dry again. How does that happen? lol… Spent 2 hours on Saturday morning driving the dozer fella around. Spent 2 hours on Sunday driving the logger fella around. Spent 5 hours mowing hay and going back/forth to home to care for Cowdog Hawk. Everything else in the normal routine of a day is hangin’ fire until I can get this last minute haying done. Even not going to hay as much as once thought. Going to mow the tops down so that I can see the cows and let them have their calving pasture. There are times in life when you have to step outside of the traditional box and just punt. You can pick punt or crack and I try to pick “punt”. Might take me a few days to process a mental plan, but I’ve had to force myself to survive a lot of tough crap in my life and the summer and pre-fall 2015 is another one of those challenging phases I will live through. Well, I hope I live through it. I just felt so much more alive and positive when the daily temperatures were in the 70’s. Why is that? Now, back to 90’s or high 80’s and opaque skies with lots of southern moisture…I feel like a slug. Why is that? So. I gotta go. But, thought I’d take just a bit to gulp a coffee mug of brown liquid with some of the finest fresh from the farm maply syrup from Matt Carter (look him up on FB) and the Longhorn Sugar Shack. Matt is jugging up another gallon or so and sending the sweet nectar my way. I don’t use sugar anymore and my joints appreciate the love of the maple syrup and the skipping of the refined sugar. Haven’t purchased a bag of refined sugar for years…cook, bake, caffeinate with Matt’s home-tapped, home-cooked, amber brown goodness. Reflecting back to the extreme drought year 2012 and a load of BertxHawk youngsters. Cowdog Hawk is the black gal on the seat. 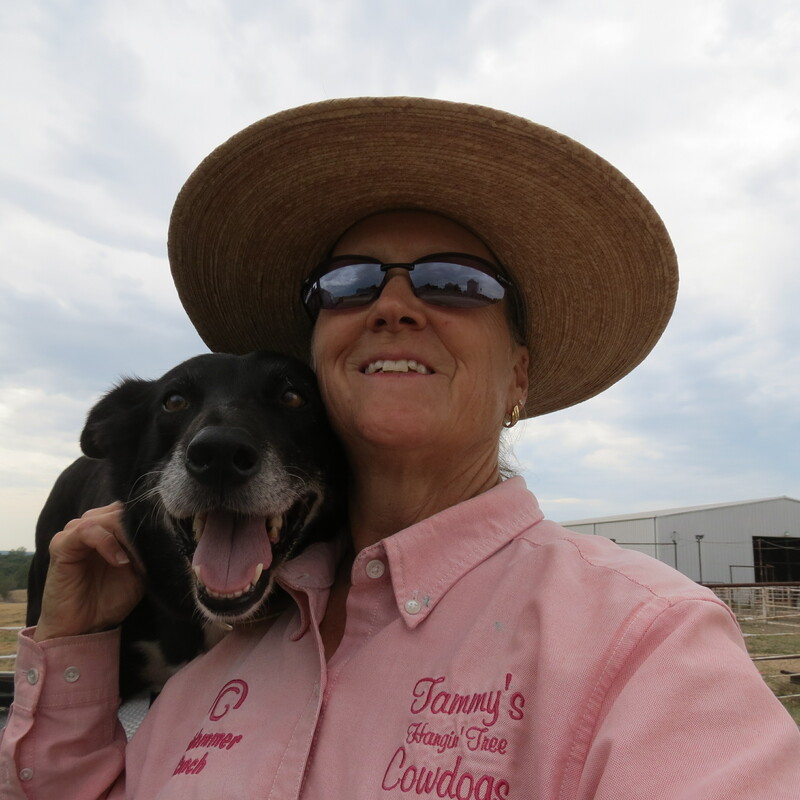 Bless Cowdog Hawk and her kids…may she live to see another National Dog Day.